Eleven suspected members of the MS-13 gang have been charged in connection with the 2016 slayings of two teens whose remains were discovered buried in a Fairfax County park. 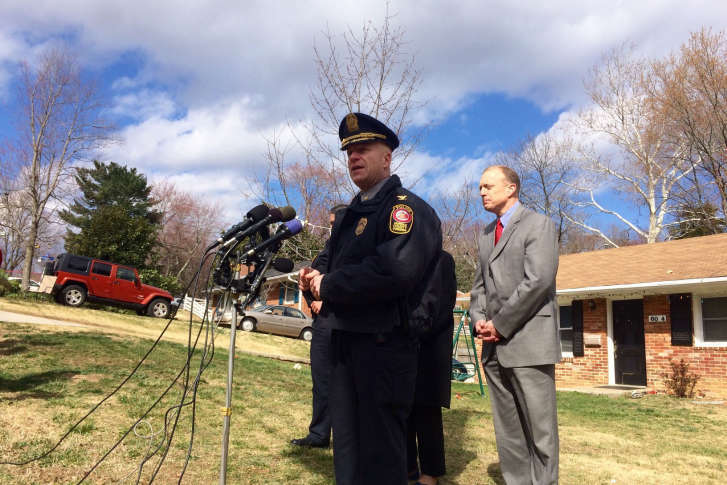 WASHINGTON — Eleven suspected members of the MS-13 gang have been charged in connection with the 2016 slayings of two teens whose remains were discovered buried in a Fairfax County park. In a newly unsealed federal indictment from the U.S. Attorney from the Eastern District of Virginia, authorities said a group of the men lured a 17-year-old boy to Holmes Run Park in August 2016 where they attacked and killed him because they thought the teen was involved in a rival gang. A month later, an even larger group of men suspected a 14-year-old boy of cooperating with law enforcement and lured him to the same park where he was attacked and killed, according to the indictment. Both teens’ bodies were buried in the park. All of the men charged are in their 20s — ranging from 20 to 27 years old — and all are originally from El Salvador, prosecutors said. Police discovered the remains of the two teens in Holmes Run Park last March after police received a tip, which sparked an extensive two-day search of the park. All of the men are charged with conspiracy to kidnap. One of the men faces an additional charge. The charges carry a maximum penalty of life in prison.